Freesat loses Channel 4 HD and All4 over carriage fee dispute | What Hi-Fi? Freesat will no longer be able to show either channel - Channel 4 SD, E4, More 4, 4seven and Film 4 aren't affected. From Thursday 22nd February, Channel 4 HD will be absent from Freesat's channel listings and its catch up service. The reason? The broadcaster says that Freesat has levied "a very significant" fee increase at them, according to Seenit. However, not every Channel 4 channel will be absent. Channel 4 SD, E4, More 4, 4seven and Film 4 won't be affected, and can still be watched via the usual TV guide. This puts Freesat, which is jointly owned by the BBC and ITV, at a disadvantage in comparison to Freeview and YouView (both of which Channel 4 invests in). 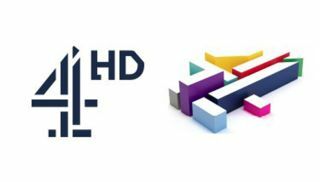 A Channel 4 spokesperson reportedly said, “we’re disappointed Freesat is changing its charging structure, leading to a very significant cost increase for Channel 4, which ultimately takes funding away from our content investment budget. Is Spotify making its own speaker?